Subhash Kak does not work for, consult, own shares in or receive funding from any company or organization that would benefit from this article, and has disclosed no relevant affiliations beyond their academic appointment. Automation and artificial intelligence technologies are transforming manufacturing, corporate work and the retail business, providing new opportunities for companies to explore and posing major threats to those that don’t adapt to the times. Equally daunting challenges confront colleges and universities, but they’ve been slower to acknowledge them. At present, colleges and universities are most worried about competition from schools or training systems using online learning technology. But that is just one aspect of the technological changes already under way. For example, some companies are moving toward requiring workers have specific skills trainings and certifications – as opposed to college degrees. As a professor who researches artificial intelligence and offers distance learning courses, I can say that online education is a disruptive challenge for which colleges are ill-prepared. Lack of student demand is already closing 800 out of roughly 10,000 engineering colleges in India. And online learning has put as many as half the colleges and universities in the U.S. at risk of shutting down in the next couple decades as remote students get comparable educations over the internet – without living on campus or taking classes in person. Unless universities move quickly to transform themselves into educational institutions for a technology-assisted future, they risk becoming obsolete. Enormous amounts of information are now available online for free, ready for watching, listening or reading at any time, by anyone who’s connected. For more than a decade, private companies, nonprofits and universities alike have been experimenting with online courses, often offered for free or at low cost to large numbers of students around the world. Research has shown that it’s as effective for students to use a combination of online courses and traditional in-classroom instruction as it is to just have classes in person. As European countries explored the world and established overseas colonies starting in the 15th and 16th centuries, universities evolved to train officers to manage those territories, study navigation across the oceans and look after colonists’ health. After the Industrial Revolution, colleges changed again, teaching workers how to use new scientific and technological methods and tools. In the 21st century, the workplace is transforming once more; what businesses, governments and society need from education is shifting, and technology has made the brick-and-mortar library obsolete. It used to be that users of a technology needed to know how it works. In the early days of driving, for instance, it was important for a driver to be able to fix a car that broke down on the side of the road, perhaps far from any expert mechanic. 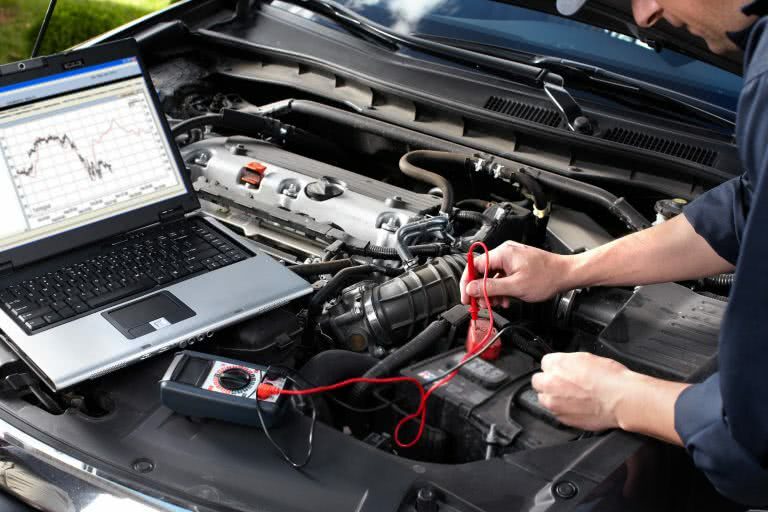 But in the current post-industrial economy, that has changed: Even a car mechanic uses a computer to connect to car systems to identify what is not working properly. Very few people need to know how these internal computer systems work; they just need to be able to interpret sensor readings and error messages. Now, the number of jobs mostly involving routine skills – both physical and cognitive – is shrinking over time. Increasing automation at factories is rapidly replacing workers at factories, even in low-wage countries like China. Artificial intelligence technologies like machine learning and computer vision are permanently eliminating high-skill jobs in offices, too. Many world economies – including in the U.S. – are turning from manufacturing to service, in which most new jobs do not require advanced education. The remaining jobs will involve fewer routine tasks. The people doing that work will still need some education beyond high school. But they may not have as much need to attend classes at, or even live on, a physical university campus. Colleges that are outside the very top tier of quality and name recognition – and those that have taken on large amounts of debt to build physical facilities – will suffer as demand for their services lessens. Another factor challenging universities’ existence is the rapidly rising cost of a traditional college education. So far, in the U.S. demand for degrees from residential colleges has remained high because government-backed loans are easy to get. But student loan debt in the U.S. has reached US$1.45 trillion – and as many as 20 percent of borrowers may not be earning enough to pay them back. Universities might highlight intangible values of in-person learning, like personal contact and nonverbal communication, but the costs are becoming a larger factor. Parents and students in the U.S. are increasingly asking whether it’s worth spending around $30,000 – or even more than $60,000 – for less than 240 days of school in an elite private residential college – more than $250 a night. Private colleges’ main competition at the moment comes from public universities. Their prices are two-thirds lower, but studying still involves taking many courses that are just as easily taught online. Soon students will want to take a variety of courses from different universities, choosing each class and school for its particular merits and benefits. That will stiffen competition between institutions, lowering students’ costs – and universities’ revenues. Courses will become shared experiences for online learning communities. Some colleges might seek to charge students for special in-person learning experiences, but these will be extras for those who can afford them, not the higher education norm they are today. Some universities – those at the top, with the most money and expertise – are responding to the coming changes to higher education. Some are forming partnerships with international universities and online teaching companies, or building remote-learning programs on their own. Some of these, like the Harvard Extension School, are high-tech adaptations of correspondence courses people used to take by mail. Harvard Extension School enrolls nearly 2,000 degree candidates and over 13,000 non-degree students, who take classes online, on campus or a mix of both. Students can earn a Bachelor of Liberal Arts degree in extension studies. At an estimated cost of $49,500, a four-year degree is cheaper than a single year on campus at Harvard. But the vast majority of people who take its classes never get a degree at all. They’re just looking for one particular course, or maybe a few, customizing their own education. Employers will soon take advantage of options like this, too: Universities will find themselves asked to build specific programs for particular companies. And universities will find themselves needing to explore other ways artificial intelligence technologies can help reduce the cost of education.